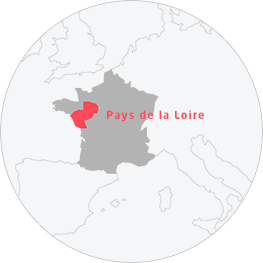 With over 40,000 hectares of vines, where every aspect of great winemaking can be found, the Pays de la Loire vineyards offer a rich tapestry of contrasts. From exploring the vineyards to enjoying the wide variety of wine-themed activities and events the Loire Valley has to offer, full flavour, authentic charm and vitality are the order of the day. The region is bursting with hidden gems and great destinations that will delight passing visitors, wine buffs and true devotees. Les Gauletteries: an astonishing wine estate! Eat among the vines at La Table de la Bergerie! A visit to Thierry Michon, star winemaker! Domaine aux Moines: discover the feminine side of the vine!